Monsieur et Madame GAOUYAT, sont des professionnels de l'immobilier depuis plus de 20 ans. 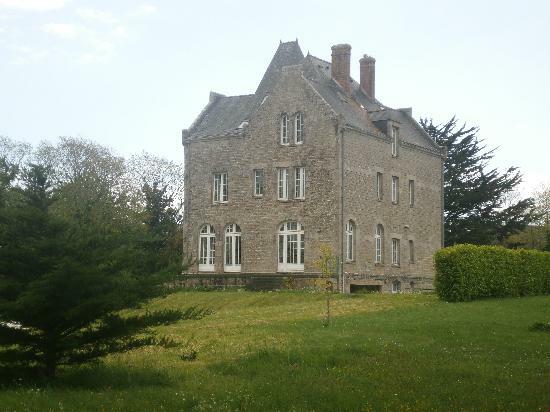 Spécialiste du pays Bigouden, l'Agence du CHATEAU à Pont l'Abbé vous propose des maisons, des terrains, des appartements à vendre ou à louer pour tous les budgets. 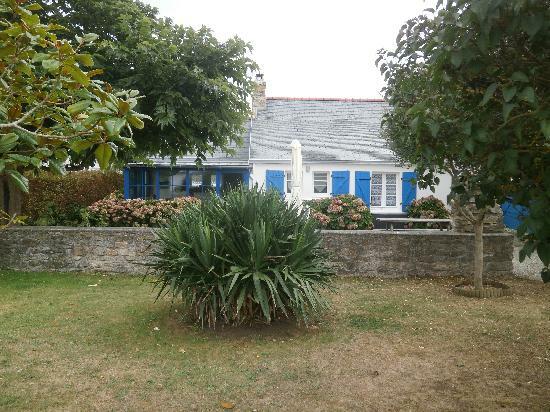 Vous cherchez un bien près de la plage, à la campagne, avec vue sur mer , de style contemporain ou classique, un terrain constructible, un appartement en ville ou dans un bourg, Monsieur et Madame GAOUYAT ,avec leur parfaite connaissance du secteur, ont le produit qui correspond à votre projet et à votre budget. Un accueil de professionnels, personnalisé et chaleureux vous attend à l'Agence du Château dans la rue principale de Pont l'Abbé. 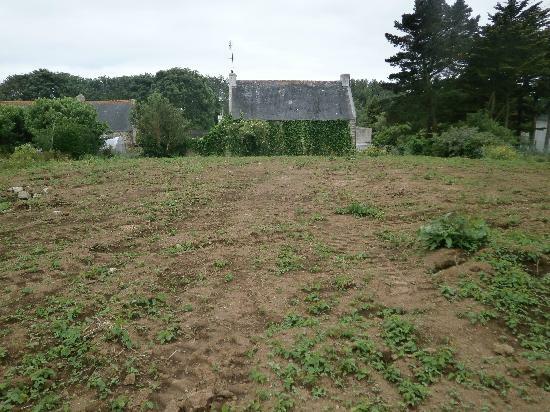 BELLE CONTEMPORAINE A FINIR SUR TERRAIN DE 2400 M² POSSIBILITE PLUS , FINITION DES TRAVAUX ENVIRON 55.000 E.
1 MAISON NEUVE SUR TERRAIN DE 610 M² : MAISON COMPRENANT AU RDC : HALL SEJOUR AVEC CUISINE OUVERTE EQUIPEE ET AMENAGEE , PATIO CENTRAL, 2 CHAMBRES , WC , SALLE D'EAU A L' ITALIENNE AMENAGEE. A L'ETAGE DEUX CHAMBRES DONT UNE AVEC VUE PANORAMIQUE ,SALLE DE BAINS AMENAGEE , WC . 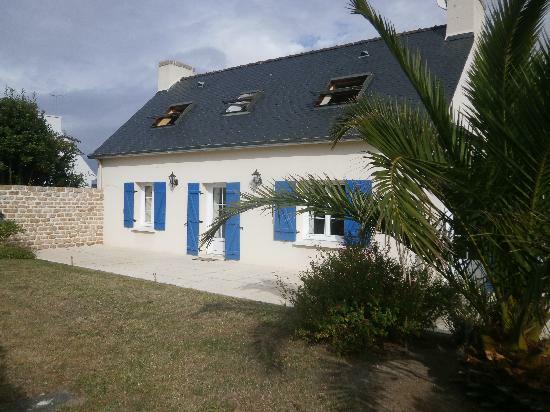 AUTRE: TERRASSE, REMISE ,JARDIN CLOS. 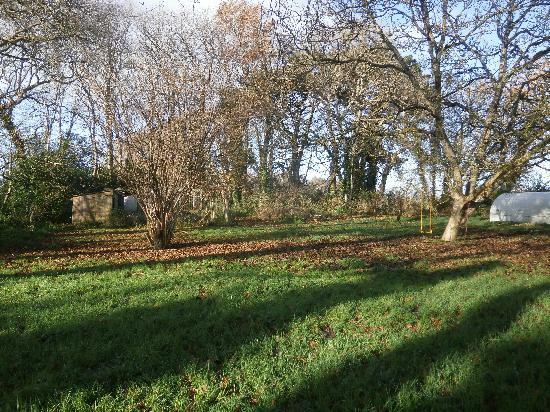 MAISON SUR TERRAIN D'ENVIRON 400 M² COMPRENANT : HALL , PLACARDS , WC , CUISINE AMENANGEE OUVERTE SUR SEJOUR SALON DONNANT SUR TERRASSE . A L'ETAGE : DEGAGEMENT , SALLE DE BAINS , DEUX CHAMBRES . AUTRE : ABRI DE JARDIN . COMPRENANT: HALL, PLACARDS , WC. CUISINE SEMI AMENAGEE OUVERTE SUR SEJOUR SALON DONNANT SUR TERRASSE. A L'ETAGE: DEGAGEMENT , DEUX CHAMBRES, SALLE DE BAINS. LIBRE FIN AVRIL , POSSIBILITE AVANT. 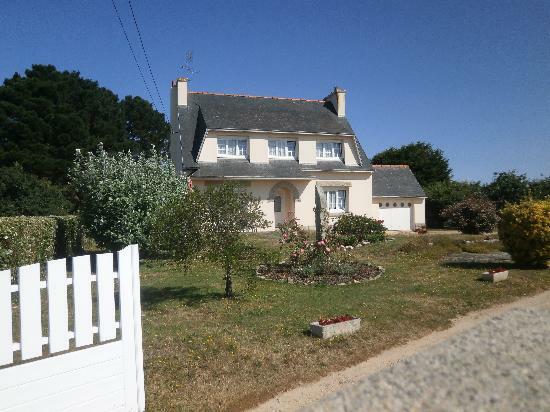 MAISON SUR TERRAIN DE 4500 M² COMPRENANT AU RDC:HALL , SEJOUR SALON DE 50 M² AVEC CHEMINEE + POELE , CUISINE EQUIPEE ET AMENAGEE , 1 CHAMBRE , WC , BUREAU , LINGERIE . 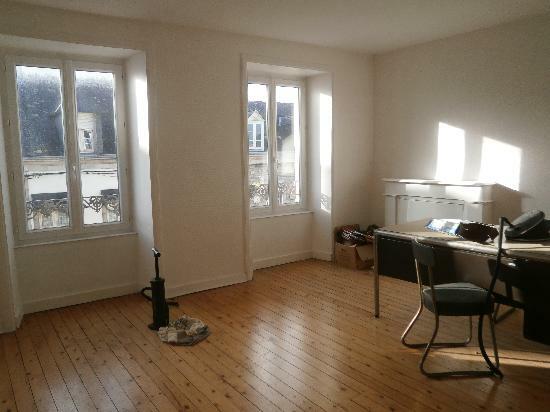 A L'ETAGE : 5 CHAMBRES , 1 BUREAU , WC , SALLE DE BAINS . ENTREE , CUISINE AMENAGEE , SEJOUR , SALLE D'EAU, WC. DEUXIEME ETAGE : DEGAGEMENT, DEUX PIECES.PLUS DEBARRAS. TROISIEME ETAGE : DEUX PIECES. 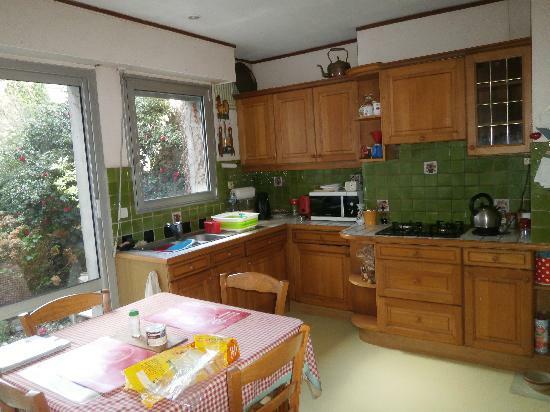 A SAISIR MAISON DES ANNEES 50 SUR TERRAIN DE 345 M² COMPRENANT : ENTREE,CUISINE,UNE CHAMBRE,SALLE DE BAINS,WC. 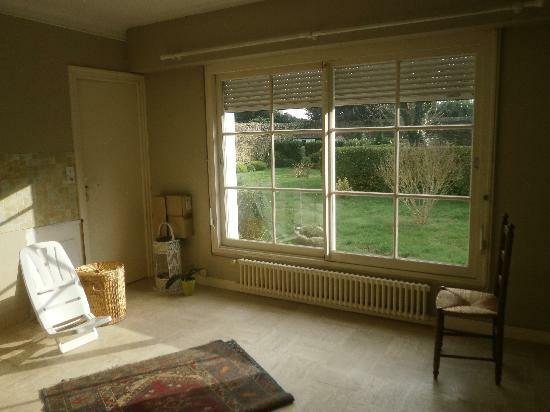 1² ETAGE: ENTREE, HALL, CUISINE EQUIPEE ET AMENAGEE,SALON,UNE CHAMBRE. 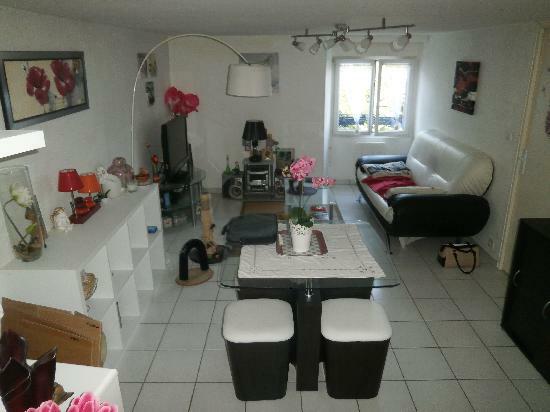 2² ETAGE: PALIER: DEUX CHAMBRES,CUISINE, SALLE D'EAU +WC. AUTRE : GARAGE CHAUFFAGE GAZ. CAUTION DEUX MOIS: 2000 E.
1² ETAGE APPARTEMENT EN DUPLEX COMPRENANT : HALL, CUISINE EQUIPEE OUVERTE SUR SEJOUR SALON, SALLE D'EAU + WC . A L'ETAGE : PALIER UNE GRANDE CHAMBRE, UNE PLUS PETITE. 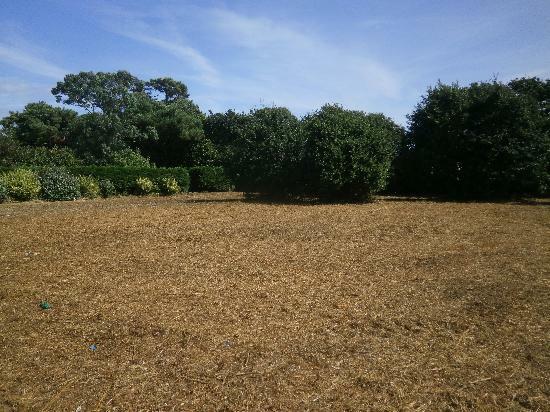 A SAISIR, PROCHE PLAGE DU STEIR, TERRAIN CONSTRUCTIBLE DE 889 M² .VIABILISATION EN BORDURE DE ROUTE . A L'ETAGE: QUATRE CHAMBRES, SALLE DE BAINS, WC+ DOUCHE. 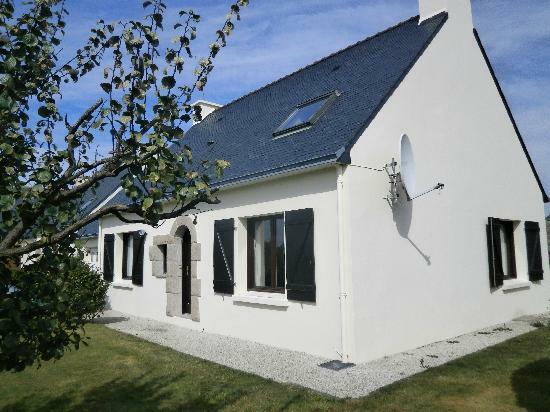 MAISON NEO BRETONNE SUR TERRAIN DE 3000 M² ENVIRON COMPRENANT AU RDC : HALL, SEJOUR SALON AVEC CHEMINEE ET INSERT, CUISINE EQUIPEE , AR CUISINE, UNE CHAMBRE, SALLE D'EAU, WC. A L' ETAGE : DEGAGEMENT, TROIS CHAMBRES, SALLE DE BAINS + WC. 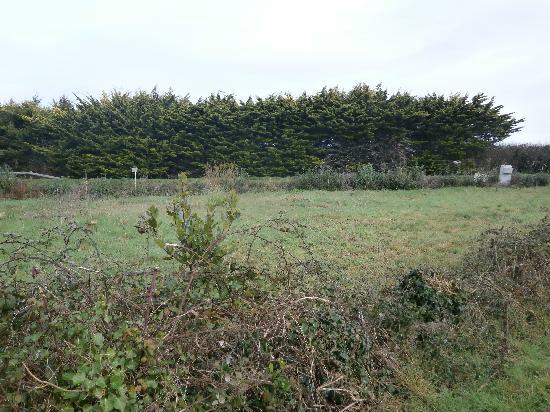 VASTE TERRAIN CONSTRUCTIBLE DE 6155 M² . BELLE MAISON DE 1991 SUR TERRAIN DE 990 M² COMPRENANT AU RDC: VASTE HALL, SEJOUR SALON AVEC CHEMINEE ET INSERT, CUISINE EQUIPEE ET AMENAGEE, UNE CHAMBRE AVEC CABINET DE TOILETTE, CHAUFFERIE AVEC DOUCHE, WC. A L'ETAGE: MEZZANINE, QUATRE CHAMBRES, SALLE DE BAINS + DOUCHE, WC. 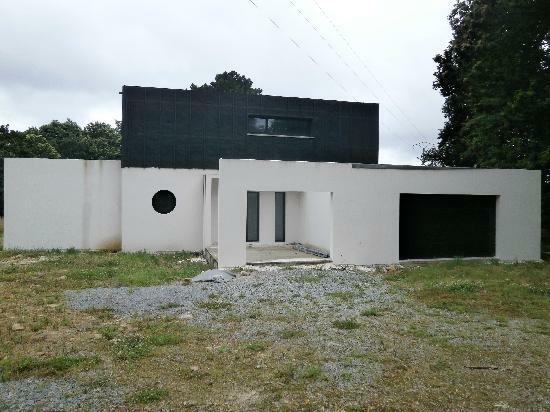 JOLIE MAISON DE 1999 SUR TERRAIN CLOS DE 416 M² COMPRENANT AU RDC : HALL, CUISINE EQUIPEE ET AMENAGEE OUVERTE SUR SEJOUR SALON AVEC CHEMINEE ET INSERT , SALLE D'EAU + WC , CELLIER. A L'ETAGE : DEGAGEMENT , DEUX CHAMBRES , SALLE D'EAU . AUTRE : GARAGE , DEUX ABRIS DE JARDIN . 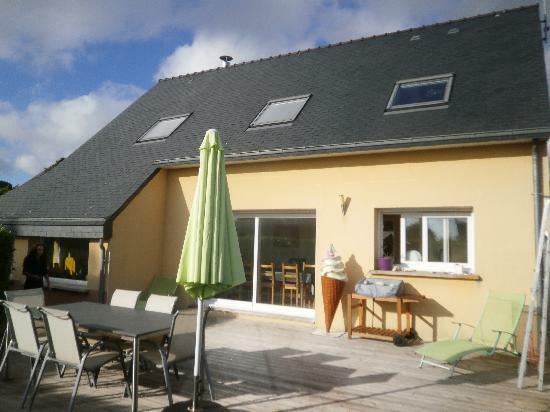 SUPERBE EMPLACEMENT POUR CETTE MAISON DE 2015 SUR TERRAIN DE 260 M² ENVIRON, AUX NORMES RT 2012 AVEC CHAUFFAGE PAR LE SOL + COMBLES AMENAGEABLES. COMPRENANT : HALL, CUISINE EQUIPEE ET AMENAGEE OUVERTE SUR SEJOUR SALON AVEC POELE A GRANULES . COMPRENANT AU RDC : ENTREE AVEC PETITE VERANDA, SEJOUR, CUISINE EQUIPEE ET AMENAGEE, DEUX CHAMBRES, SALLE D'EAU + WC. A L'ETAGE: UNE GRANDE CHAMBRE. RESEAU EAU + EDF AU BORD DU TERRAIN. COMPRENANT AU RDC : HALL+ PLACARD, BEAU SEJOUR SALON DONNANT SUR TERRASSE, CUISINE SEMI AMENAGEE, WC. A L'ETAGE; DEGAGEMENT, TROIS CHAMBRES, SALLE DE BAINS, WC. A LOUER LOCAL DE 45 M² ,COMPRENANT TROIS PIECES IDEALEMENT BUREAU OU PROFESSION LIBERALE. MAISON DE 1900 AVEC EXTENSION RECENTE SUR TERRAIN DE 515 M COMPRENANT AU RDC : CUISINE EQUIPEE OUVERTE SUR SEJOUR SALON AVEC CHEMINEE, SUITE PARENTALE AVEC SALLE D'EAU PRIVATIVE. A L'ETAGE : PALIER, DEUX CHAMBRES , SALLE DE BAINS + WC. 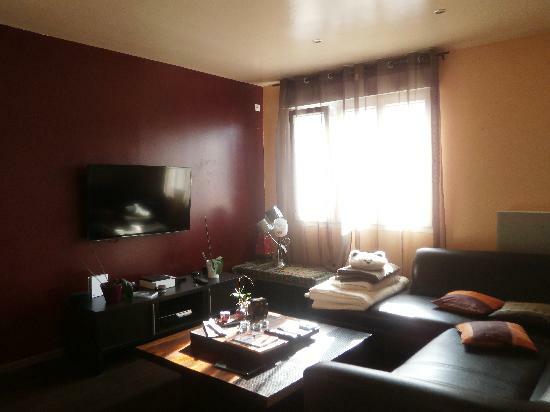 TRES BELLE PROPRIETE SUR TERRAIN DE 1390 M² COMPRENANT AU RDC : VASTE HALL, SEJOUR SALON AVEC CHEMINEE, BUREAU, CHAMBRE AVEC SALLE DE BAINS ET WC INDEPENDANT, DRESSING, CUISINE EQUIPEE, WC. A L'ETAGE : DEGAGEMENT , GRANDE PIECE SERVANT DE SALON BIBLIOTHEQUE, SIX CHAMBRES , WC, SALLE DE BAINS +DOUCHE. AUTRE : DOUBLE GARAGE AVEC CHAUFFERIE. DEUX CHAMBRES , WC, SALLE D'EAU EQUIPEE ET AMENAGEE. A L'ETAGE DEGAGEMENT, DEUX CHAMBRES, WC, SALLE DE BAINS EQUIPEE ET AMENAGEE. COMPRENANT : PIECE A VIVRE AVEC CUISINE EQUIPEE , DEUX CHAMBRES, SALLE DE BAINS, WC. 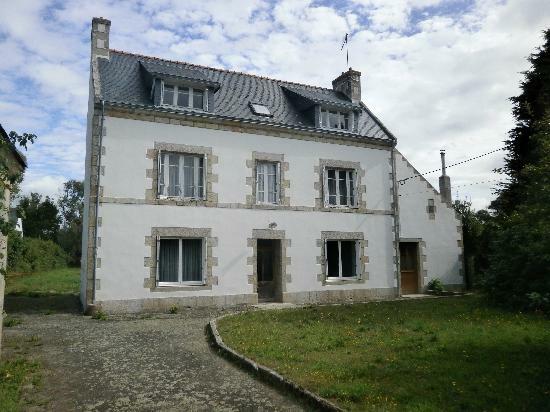 MAISON DE 1850 A RENOVER SUR TERRAIN D'ENVIRON 100 M² . COMPRENANT RDC + DEUX NIVEAUX. APPARTEMENT DE TYPE STUDIO AU RDC D'UN PETIT IMMEUBLE DONNANT SUR JARDIN, COMPRENANT : CUISINE EQUIPEE ET AMENAGEE OUVERTE SUR PIECE DE VIE. SALLE D'EAU + WC. 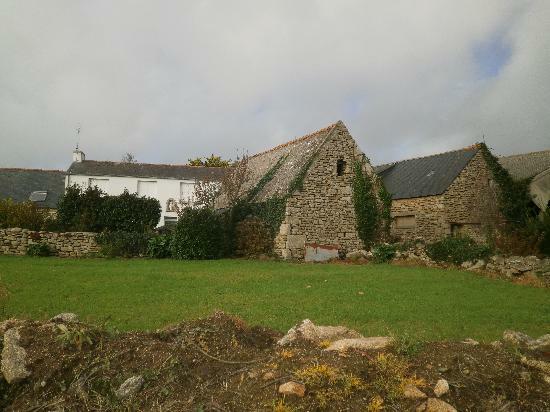 JOLI TERRAIN CONSTRUCTIBLE ET VIABILISE, A ENVIRON DEUX KMS DE PLONEOUR D'UNE SUPERFICIE DE 751 M² . 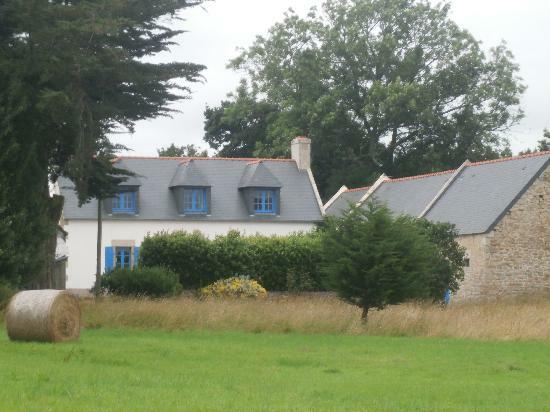 GRANDE MAISON SUR PARC CONSTRUCTIBLE DE 4272 M² COMPRENANT AU RDC : HALL, SEJOUR SALON , CUISINE , WC. 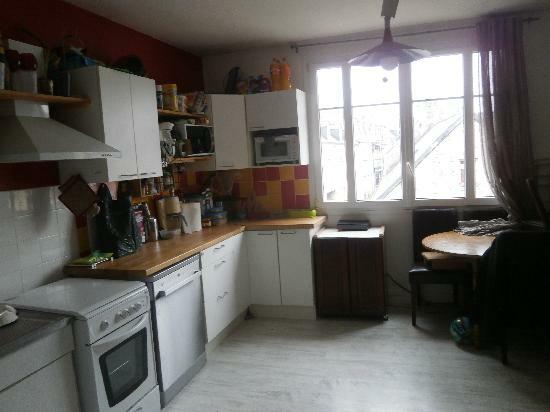 1² ETAGE : DEGAGEMENT , DEUX CHAMBRES , SALLE DE BAINS. 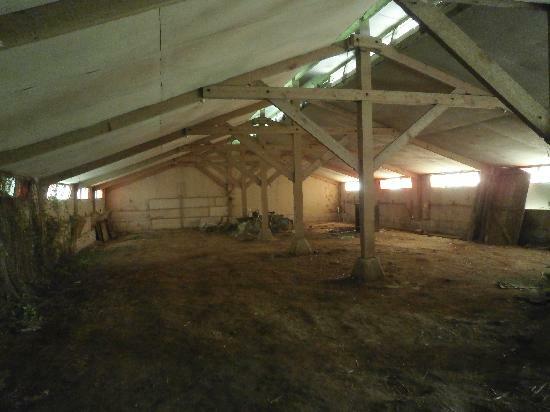 2² ETAGE: DEGAGEMENT, DEUX CHAMBRES + UNE PETITE . AUTRE : CHAUFFERIE + LONGERE INDEPENDANTE. 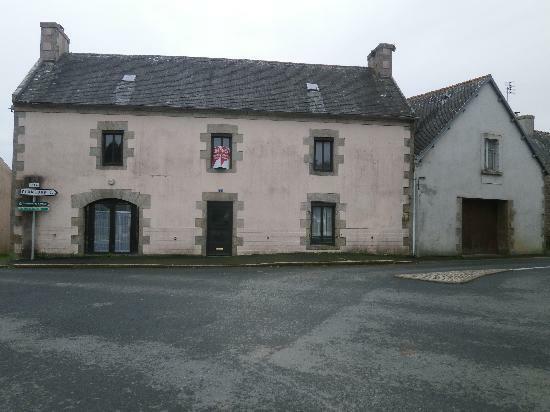 LONGERE RENOVEE DE 1850 SUR TERRAIN DE 2500 M² ENVIRON COMPRENANT CUISINE EQUIPEE ET AMENANGEE OUVERTE SUR SEJOUR AVEC CHEMINEE, SALON AVEC CHEMINEE, DEUX CHAMBRES, SALLE D'EAU+ BAINS , WC , CHAUFFERIE AVEC DRESSING, AR CUISINE .A L'ETAGE : MEZZANINE , 6 CHAMBRES , DEUX WC, 3 SALLES D'EAU , . 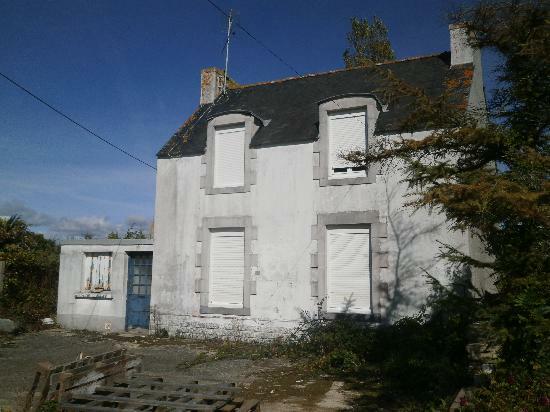 AUTRE : UNE LONGERE DE 50 M² , UN ANCIEN GARAGE, UN APPENTIS.TERRASSE. UNE CHAMBRE AVEC PLACARDS, SALLE DE BAINS + WC. 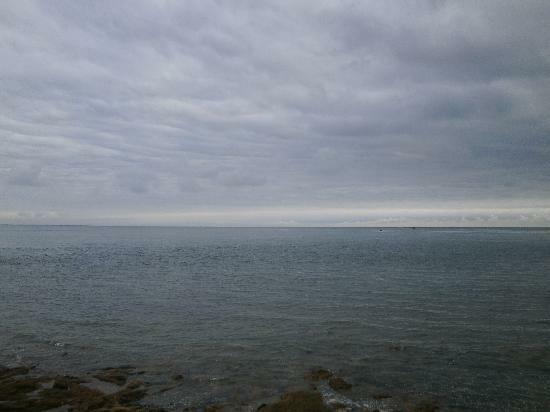 AUTRE: CAVE, PLACE DE PARKING. LOCAL COMMERCIAL : COMPRENANT SURFACE DE VENTE AVEC VITRINES PLUS S/ SOL EXPLOITABLE EN COMMERCE + MURS COMMERCIAUX. COMPRENANT AU RDC : HALL,SEJOUR, CUISINE SEMI EQUIPEE, TROIS CHAMBRES, SALLE D'EAU, WC. 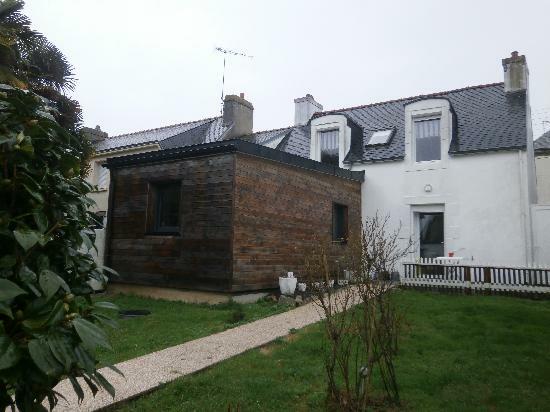 AUTRE: COMBLES AMENAGEABLES AVEC POSSIBILITE VUE MER. SOUS SOL AVEC CHAUFFERIE, UNE CHAMBRE, CABINET DE TOILETTE, GARAGE. MAISON DE 1970 DE 120 M² HABITABLE SUR TERRAIN DE 1140 M² COMPRENANT AU RDC : HALL,SEJOUR SALON, CUISINE, DEUX CHAMBRES , WC, SALLE DE BAINS. A L'ETAGE : DEGAGEMENT , TROIS CHAMBRES , SALLE D'EAU, WC, DEUX GRENIERS. LOCAL DE 28 M² ENVIRON ENTIEREMENT REFAIT.WC. 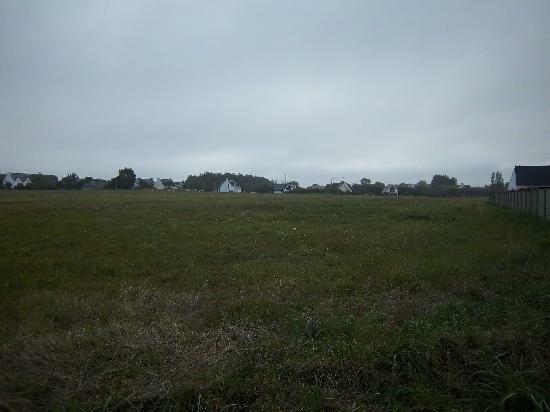 TROIS TERRAINS VIABILISES DE 897 M² , 1190 M² ET 1396 M² DONT 673 M² NON CONSTRUCTIBLE. 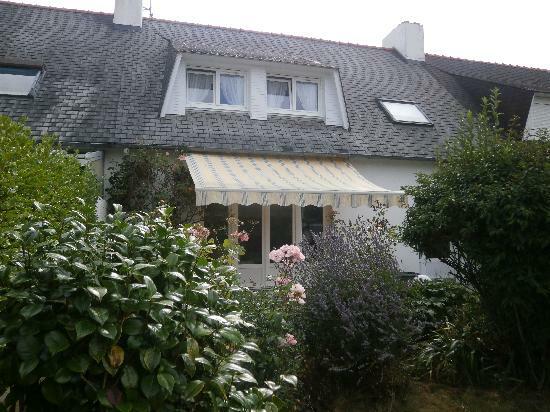 TAXE DE RACCORDEMENT AU TOUT A L'EGOUT :3100 E.
BELLE MAISON DE 2005 SUR TERRAIN DE 2865 M² COMPRENANT AU RDC : HALL,CUISINE EQUIPEE ET AMENAGEE OUVERTE SUR SEJOUR SALON AVEC CHEMINEE + INSERT , UNE CHAMBRE AVEC SALLE D'EAU PRIVATIVE , WC. A L'ETAGE , DEGAGEMENT, TROIS CHAMBRES , SALLE DE BAINS, WC. 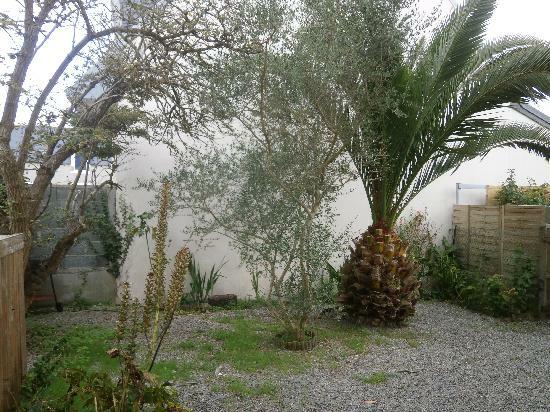 AUTRE: CELLIER, GARAGE + GRAND GARAGE DE 48 M² NEUF, TERRASSE DE 70 M². VENDU AVEC LES MURS COMMERCIAUX. 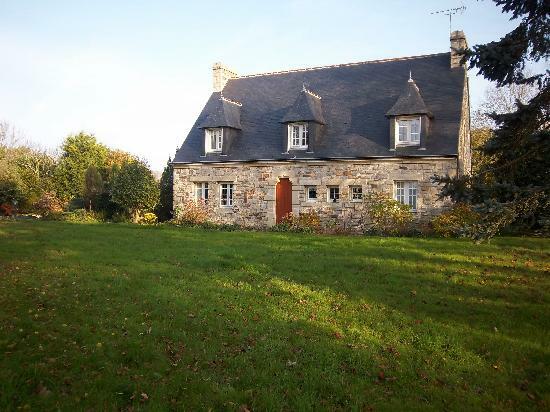 TRES BELLE MAISON DE 1968 SUR TERRAIN DE 1558 M² COMPRENANT AU RDC : HALL, SEJOUR SALON , CUISINE EQUIPEE , UNE CHAMBRE AVEC SALLE D'EAU A L'ITALIENNE ET WC, AUTRE WC. 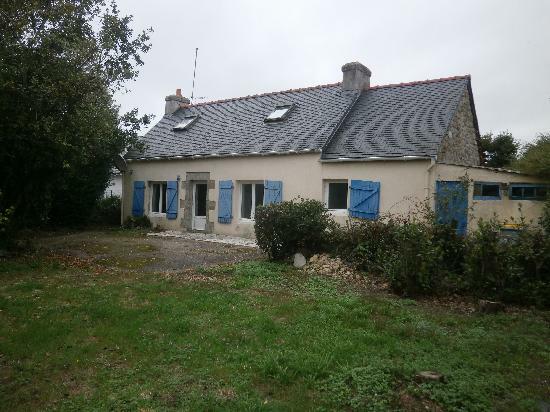 AUTRE : GARAGE AVEC COMBLES, CHAUFFERIE, ABRI DE JARDIN EN DUR. SUPERBE CONSTRUCTION EN PIERRES DE 1980 SUR VASTE TERRAIN COMPRENANT DEUX APPARTEMENTS . AU RDC : HALL, SEJOUR SALON ,CUISINE ,DEUX CHAMBRES , SALLE DE BAINS , WC . A L'ETAGE : HALL , DEGAGEMENT , SEJOUR SALON , DEUX CHAMBRES , CUISINE , SALLE DE BAINS , WC , CELLIER . JOLIE LONGERE DE 1920 RENOVEE SUR TERRAIN DE 950 M² COMPRENANT AU RDC : SEJOUR SALON AVEC CHEMINEE, CUISINE EQUIPEE, UNE CHAMBRE AVEC SALLE D'EAU PRIVATIVE, WC, PLACARD. A L'ETAGE : DEGAGEMENT , DEUX CHAMBRES, SALLE DE BAINS + WC . 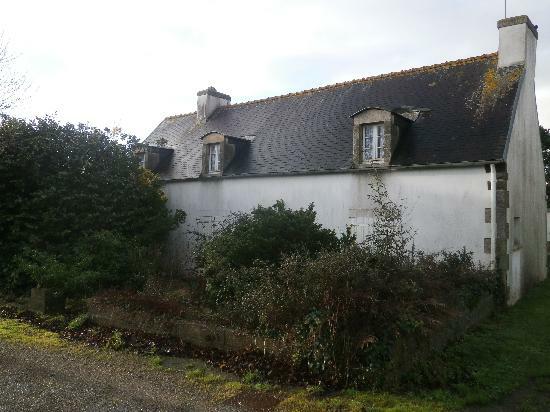 LONGERE DE 1900 SUR TERRAIN DE 900 M² , COMPRENANT : CUISINE OUVERTE SUR SEJOUR SALON AVEC CHEMINEE, SALLE D'EAU, WC, UNE PIECE. A L'ETAGE : UNE GRANDE CHAMBRE + UNE PETITE. AUTRE REMISE ATTENANTE A LA MAISON. 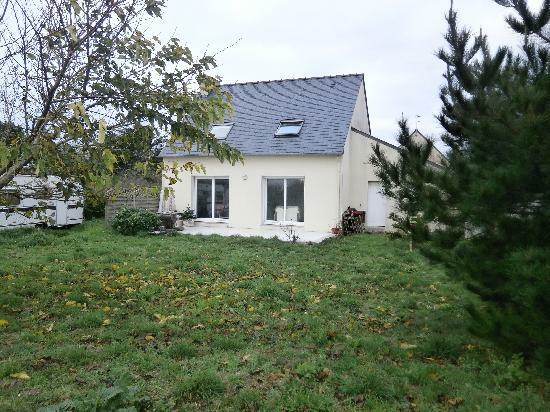 MAISON RECENTE DE 89 M² HABITABLE SUR TERRAIN DE 500 M² ENVIRON. COMPRENANT AU RDC : CUISINE AMENAGEE OUVERTE SUR SEJOUR SALON , WC , GRAND CELLIER. A L'ETAGE : DEGAGEMENT, TROIS CHAMBRES, SALLE D'EAU, WC. LONGERE DE 1900 SUR TERRAIN DE 590 M² COMPRENANT AU RDC : HALL, SALON AVEC CHEMINEE, CUISINE , UNE PETITE CHAMBRE, SALLE D'EAU WC. A L'ETAGE : UNE CHAMBRE , GRENIER AMENAGEABLE. 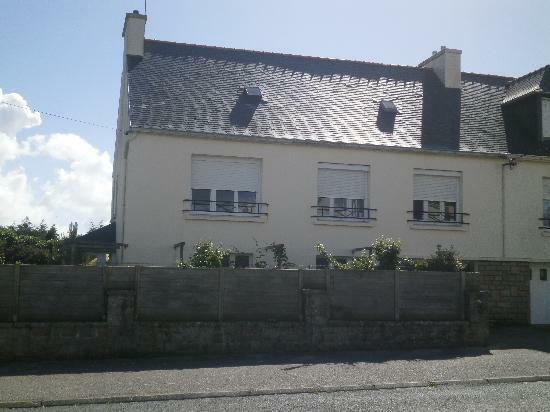 MAISON DE 1984 SUR TERRAIN DE 1201 M² SUPERFICIE HABITABLE : 125 M² COMPRENANT AU RDC : HALL, SEJOUR SALON AVEC POELE, CUISINE EQUIPEE, UNE CHAMBRE, SALLE DE BAINS, WC. A L'ETAGE : DEGAGEMENT, QUATRE CHAMBRES, . 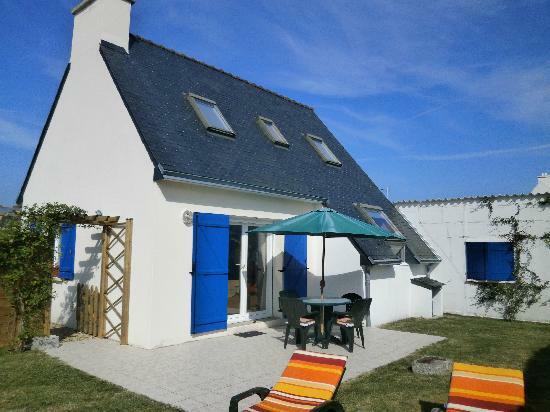 AUTRE : GARAGE AVEC CHAUFFERIE+ COMBLES AMENAGEABLES. CHAUDIERE RECENTE, ELECTRICITE REFAITE, FOSSE SEPTIQUE. 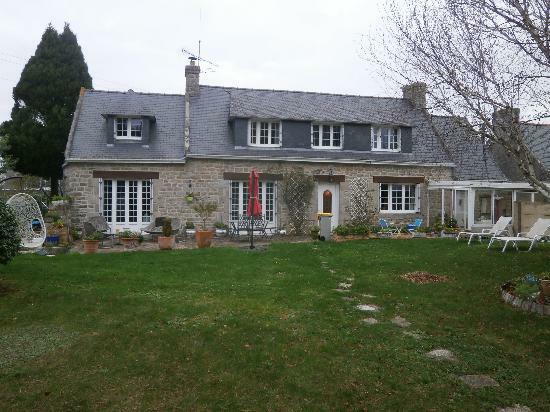 MAISON SUR TERRAIN DE 1300 M² COMPRENANT AU RDC : VERANDA CUISINE EQUIPEE ET AMENAGEE , SEJOUR SALON DE 60 M² AVEC CHEMINEE , SALLE DE BAINS , WC . A L'ETAGE : 1 MEZZANINE 1 CHAMBRE , WC , SALLE D'EAU . AUTRE : SOUS SOL TOTAL . 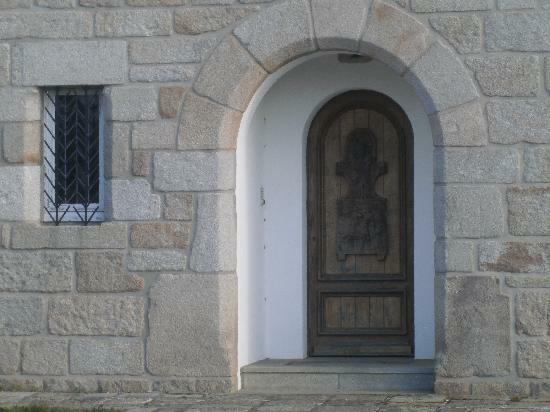 FRAIS D'AGENCE :660 E COMPRENANT : VISITE, DOSSIER, BAIL , ETAT DES LIEUX. ENSEMBLE :D'ANCIEN BAR RESTAURANT+ DEUX APPARTEMENTS +TERRASSE COMMERCIALE, LE TOUT AVEC MURS COMMERCIAUX. 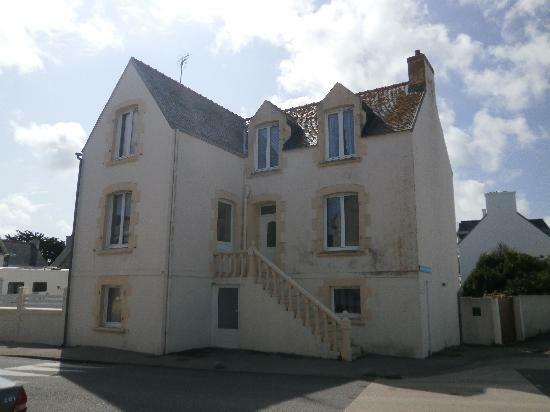 CUISINE + SALLE DE TRAVAIL CELLIER..
POSSIBILITE LOCAL COMMERCIAL + APPARTEMENT DUPLEX. LOCAL D'ENVIRON 40 M² AVEC DEUX VITRINES + WC + DEUX PIECES A L'ETAGE. 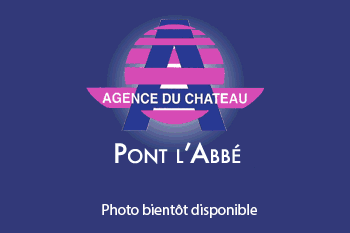 BEL APPARTEMENT DE 38 M² AU 1² ETAGE DONNANT SUR JARDIN COMPRENANT : HALL, CUISINE EQUIPEE ET AMENAGEE OUVERTE SUR SEJOUR SALON, UNE CHAMBRE AVEC PENDERIE, SALLE D'EAU AMENAGEE, WC. IDEAL BUREAU OU PROFESSION LIBERALE. LOCAL DE 38.77 M² AVEC WC. 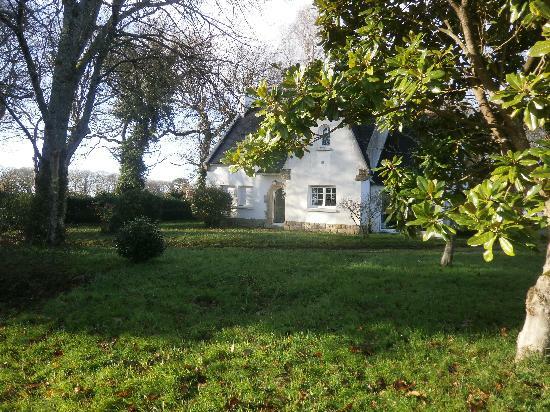 SUBLIME ENDROIT POUR CE CORPS DE FERME COMPRENANT 1² MAISON : HALL, CUISINE , SEJOUR , BUANDERIE , WC. 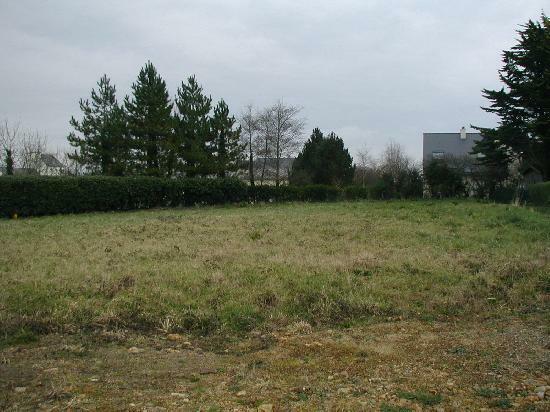 TERRAIN DE 13347 M² DANS ZONE PROTEGEE. 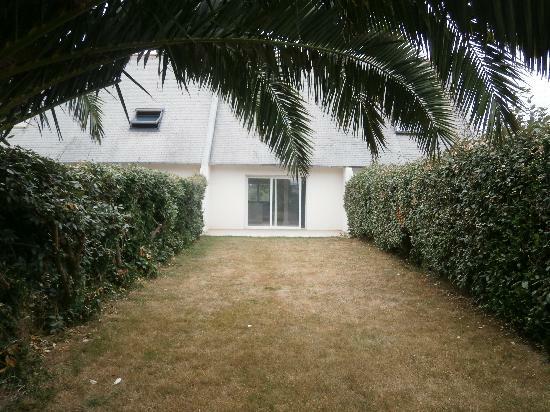 SUPERBE CADRE POUR CETTE MAISON SUR TERRAIN DE 8400 M² MAISON DE 1974 SUPERFICIE HABITABLE DE 125 M² COMPRENANT AU RDC : HALL, CUISINE OUVERTE SUR SEJOUR SALON, UNE CHAMBRE, GRANDE SALLE DE BAINS, WC. A L'ETAGE : UNE GRANDE CHAMBRE, UNE GRANDE PIECE A AMENAGER + UNE AUTRE. 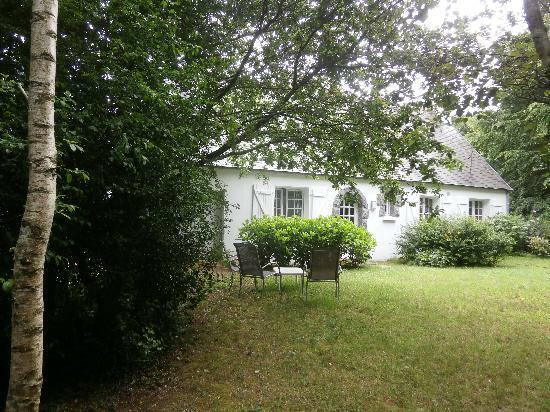 MAISON DE 1955 SUR TERRAIN DE 256 M² COMPRENANT AU RDC : HALL , CUISINE OUVERTE SUR SEJOUR , DEUX CHAMBRES , SALLE D'EAU , WC , CHAUFFERIE . IMMEUBLE EN BON ETATCOMPRENANT LOCAL COMMERCIAL DE 120 M² AVEC CAVE. 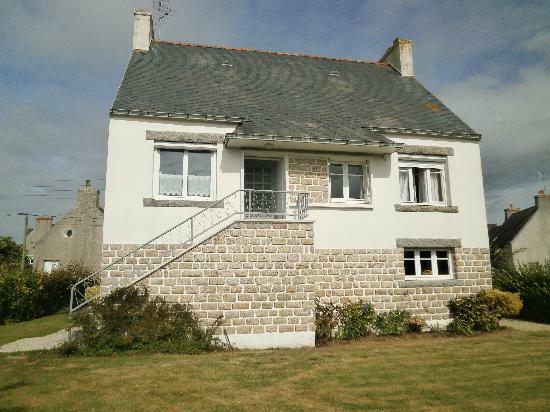 MAISON DE 1900 SUR TERRAIN DE 294 M² CONSTRUCTIBLE COMPRENANT AU RDC : HALL , SALON , CUISINE , WC . A L'ETAGE : DEGAGEMENT , DEUX GRANDES CHAMBRES , UNE PLUS PETITE , SALLE D'EAU WC . APPARTEMENT DE TYPE 5 DE 94 M² HABITABLE , COMPRENANT : HALL , SEJOUR SALON DE 31.86 M² , CUISINE , DEUX DEBARRAS , DEGAGEMENT, TROIS CHAMBRES , SALLE DE BAINS , WC . AUTRE : COMBLES AMENAGEABLES . 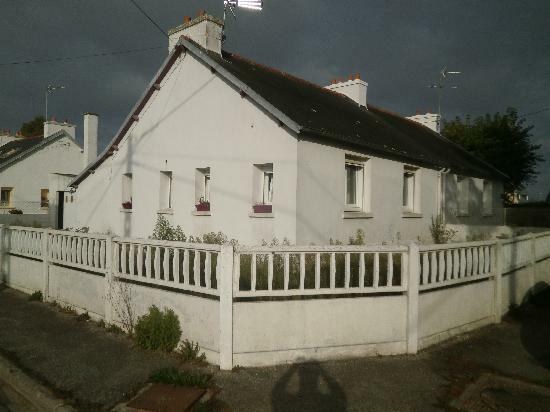 MAISON DE 1950 SUR TERRAIN DE 120 M² COMPRENANT AU RDC : HALL, SEJOUR SALON,CUISINE,WC,CHAUFFERIE. 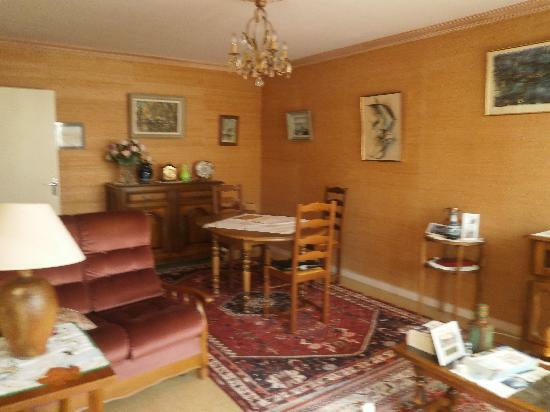 1Â² ETAGE : PALIER, QUATRE CHAMBRES, SALLE D'EAU . 2Â² ETAGE : DEUX CHAMBRES . GRAND GARAGE, AVEC DEUX ANCIENS APPARTEMENTS.+ UN GARAGE INDEPENDANT. 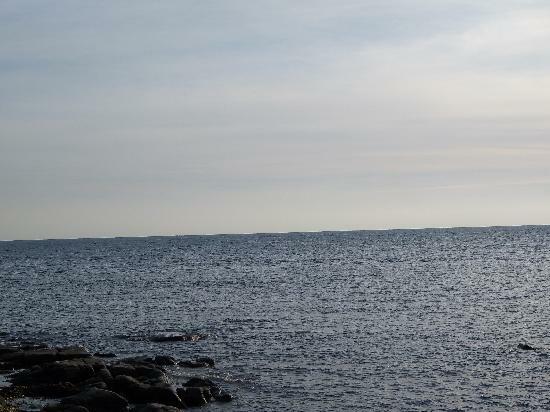 DEUXIEME MAISON COMPRENANT : QUATRE PIECES. 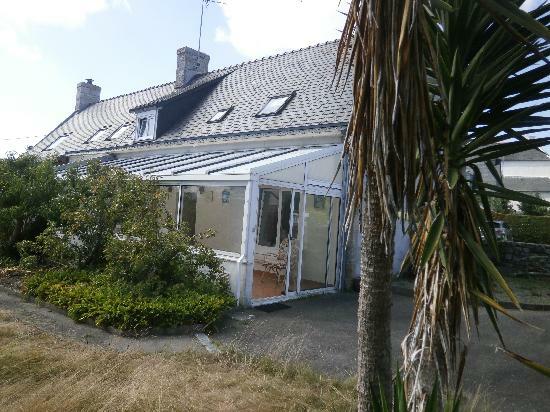 MAISON DE 1979 SUR TERRAIN DE 4700 M² MAISON COMPRENANT AU RDC :HALL,SALON DOUBLE AVEC CHEMINEE ,SEJOUR ,CUISINE EQUIPEE ET AMENAGEE,UNE CHAMBRE,SALLE DE BAINS ,WC. A L'ETAGE DEGAGEMENT ,QUATRE CHAMBRES ,SALLE DE BAINS ,WC . AUTRE COMBLES AMENAGES EN DEUX PIECES. S/SOL TOTAL AVEC CHAUFFERIE ET CAVE A VINS. 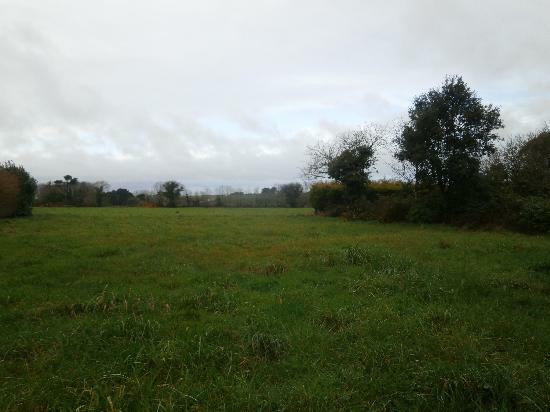 EXCLUSIVITE TERRAIN CONSTRUCTIBLE DE 4900 M² SIS A POULGUEN . VIABLISATION AU BORD DE CHAQUE LOT . TERRAIN VIABILISE DE 1000 M² PROCHE DU BOURG. 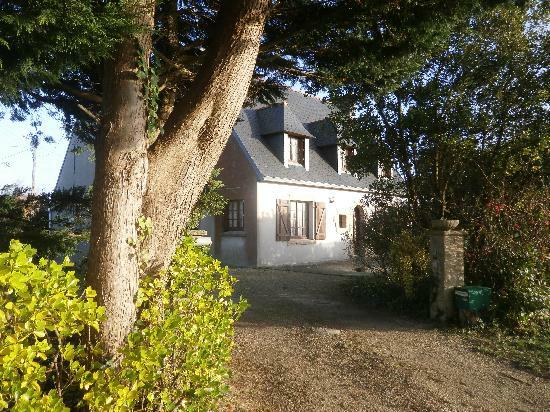 JOLIE MAISON PROCHE PLAGE SUR TERRAIN DE 450 M² COMPRENANT AU RDC : HALL, CUISINE EQUIPEE ET AMENAGEE, SEJOUR SALON , CHAMBRE , WC. A L'ETAGE : DEGAGEMENT, TROIS CHAMBRES DONT UNE AVEC CABINET DE TOILETTE , SALLE DE BAINS , GRENIER / DRESSING. AUTRE : GARAGE , ABRI DE JARDIN , TERRASSE. 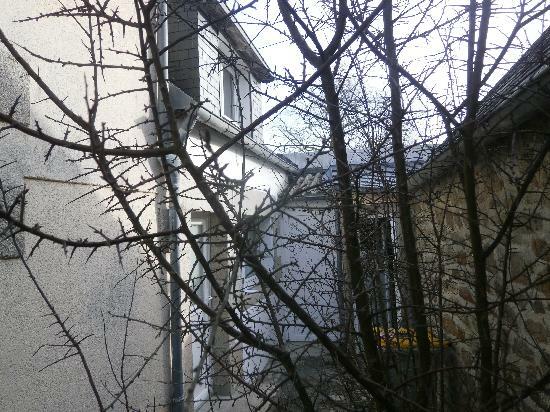 LONGERE DE 1830 SUR TERRAIN DE 1300 M² COMPRENANT AU RDC :VERANDA, HALL, SEJOUR SAON DE 50 M² AVEC CHEMINEE ET INSERT, CUISINE EQUIPEE, CHAUFFERIE , WC. A L'ETAGE : DEGAGEMENT, TROIS CHAMBRES , SALLE D'EAU, WC. AUTRE : GRAND GARAGE . 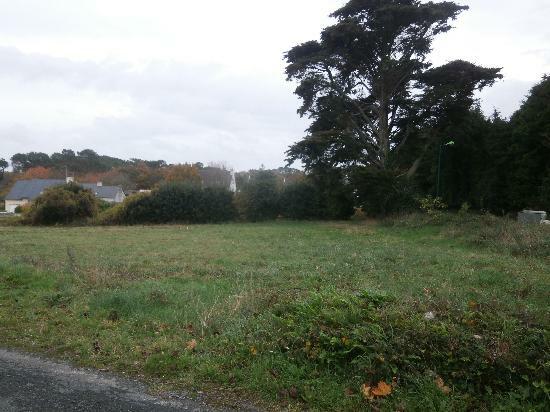 TERRAIN CONSTRUCTIBLE DE 4327 M² ASSAINISSEMENT INDIVIDUEL,ENDROIT CALME . A L'ETAGE : TROIS CHAMBRES , SALLE DE BAINS , WC. 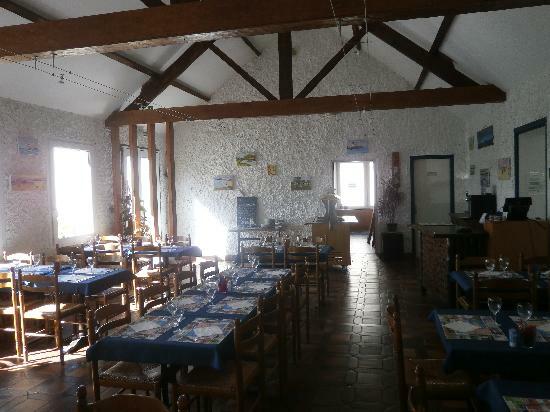 AUTRE: COMBLES AMENAGEABLES DE 60 M² . APPARTEMENT DE TYPE 2 AU RDC. S/SOL TOTAL AVEC CHAUFFERIE ET GARAGE. RDC : HALL , CUISINE , SEJOUR , TROIS CHAMBRES, SALLE DE BAINS , WC. A L'ETAGE UNE GRANDE CHAMBRE , SALLE D'EAU.POSSIBILITE AUTRE CHAMBRE. 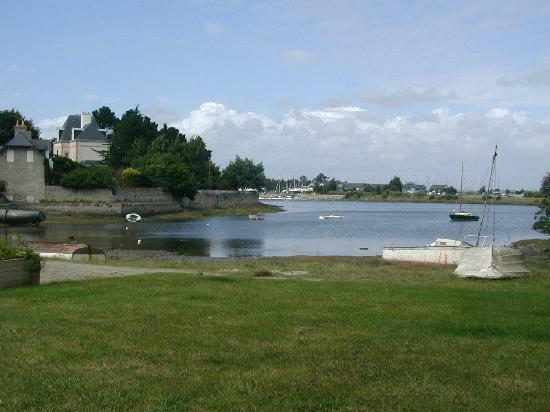 IDEAL VACANCES OU LOCATIF APPARTEMENT DE 34 M² COMPRENANT CUISINE EQUIPEE OUVERTE SUR SEJOUR , UNE CHAMBRE AVEC PLACARDS , SALLE D'EAU + WC . 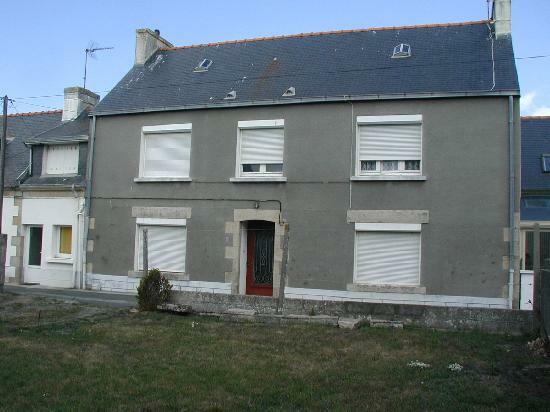 MAISON BIGOUDENE SUR TERRAIN DE 174 M² COMPRENANT AU RDC : HALL, CUISINE , SEJOUR, SALLE DE BAINS + DOUCHE, WC, CELLIER. A L'ETAGE : DEGAGEMENT , DEUX CHAMBRES , WC. DEUX TERRAINS DE 680 M² CHAQUN . 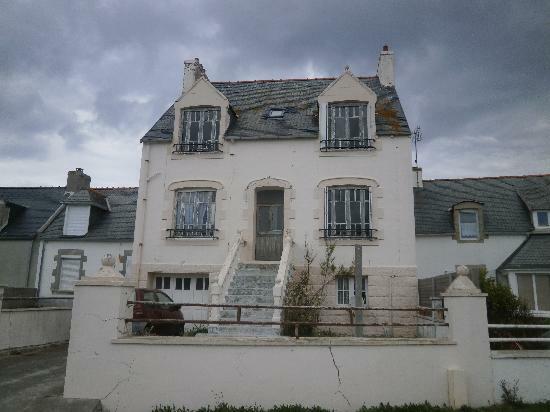 PETITE MAISON , IDEAL PREMIERE ACQUISITION OU POUR LOCATION. COMPRENANT AU RDC : HALL, PIECE A VIVRE AVEC COIN CUISINE , SALLE DE BAINS + WC . A L'ETAGE : DEGAGEMENT , UNE GRANDE CHAMBRE. POSSIBILITE DE TERRAIN EN PLUS . LONGERE DE 1900 SUR TERRAIN DE 391 M² COMPRENANT AU RDC : HALL, SEJOUR SALON AVEC CHEMINEE , CUISINE EQUIPEE ET AMENAGEE , SALLE D'EAU + WC. A L'ETAGE : DEGAGEMENT , TROIS CHAMBRES , SALLE D'EAU +WC. 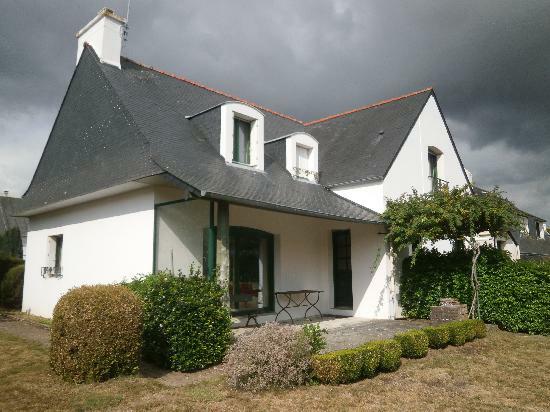 JOLIE LONGERE RENOVEE SUR TERRAIN CLOS DE 700 M² COMPRENANT AU RDC: SALON AVEC CHEMINEE, CUISINE EQUIPEE OUVERTE SUR VERANDA , UNE CHAMBRE, WC , SALLE D'EAU. A L'ETAGE : UNE CHAMBRE. ATTENANT A LA MAISON : RDC: SALON , SALLE D'EAU + WC. RDC: HALL , QUATRE PIECES , WC , SALLE DE BAINS. A L'ETAGE , PALIER , QUATRE PIECES . 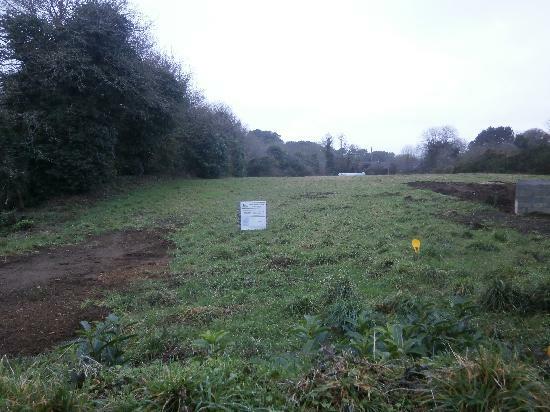 TERRAIN CONSTRUCTIBLE DE 530 M² VIABILISATION AU BORD DU TERRAIN. HANGAR DE 265 M² POSSIBILITE DE TRANSFORMATION EN HABITATION , POSSIBILITE DE TERRAIN EN PLUS , RESEAUX A PROXIMITE. 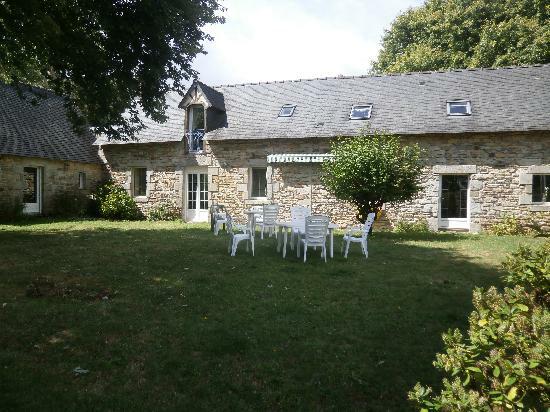 A SAISIR CORPS DE FERME SUR TERRAIN DE 1250 M² MAISON PRINCIPALE COMPRENANT AU RDC : HALL, SEJOUR SALON, CUISINE,UNE CHAMBRE,WC, CELLIER . A L'ETAGE : DEGAGEMENT : QUATRE CHAMBRES, SALLE D'EAU WC. 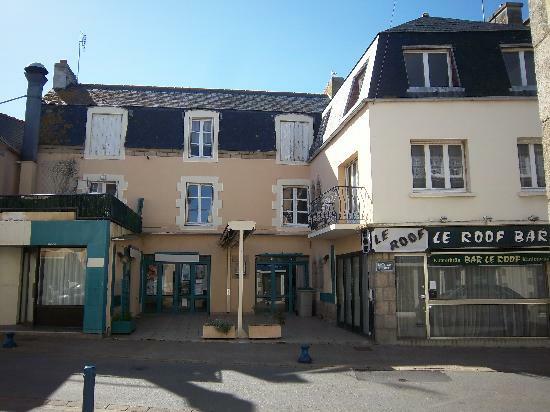 MAISON DES ANNEES 60 ENTIEREMENT RENOVEE, COMPRENANT CUISINE EQUIPEE OUVERTE SUR SEJOUR , WC, PLACARD. A L'ETAGE : SALON, DEUX CHAMBRES, SALLE D'EAU + WC. IDEAL LOCATION OU PREMIERE ACQUISITION. APPARTEMENT AU DERNIER ETAGE EN DUPLEX COMPRENANT AU RDC : HALL , CUISINE EQUIPEE OUVERTE SUR SEJOUR SALON , WC , PLACARDS . A L'ETAGE : PALIER AVEC PLACARDS , DEUX CHAMBRES , SALLE DE BAINS AMENAGEE. AUTRE : UNE PLACE DE PARKING. JARDIN PRIVATIF PLACE DE PARKING , ABRI DE JARDIN . LOCAL DE 60 M² ENVIRON AVEC MURS COMMERCIAUX , COMPRENANT TROIS PIECES ,WC , VITRINE D'ANGLE . 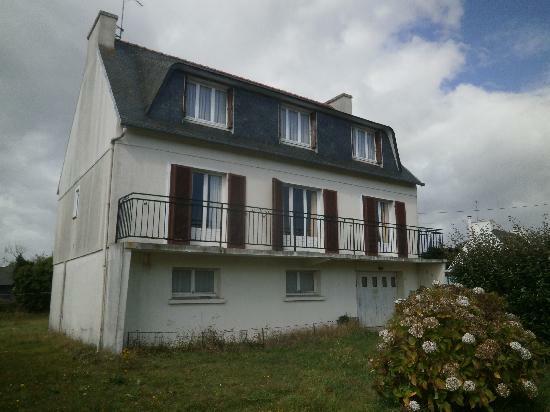 jOLIE MAISON DE 1988 SUR TERRAIN CLOS DE 546 M² COMPRENANT AU RDC : HALL, SEJOUR SALON AVEC CHEMINEE + INSERT , CUISINE EQUIPEE ET AMENAGEE, UNE CHAMBRE , SALLE D'EAU , WC. A L'ETAGE : DEGAGEMENT , TROIS CHAMBRES , SALLE DE BAINS , WC. BELLE RENOVATION POUR CETTE LONGERE SUR TERRAIN DE 2200 M² COMPRENANT AU RDC : SEJOUR SALON de 45 m² AVEC CHEMINEE , CUISINE EQUIPEE ET AMENAGEE, UNE CHAMBRE , SALLE D'EAU , AR CUISINE . A L'ETAGE : DEGAGEMENT , TROIS CHAMBRES , SALLE D'EAU . BEL APPARTEMENT AVEC ASCENCEUR SIS AU 1Â² ETAGE SUPERFICIE DE 60M² COMPRENANT : HALL AVEC PLACARDS ? 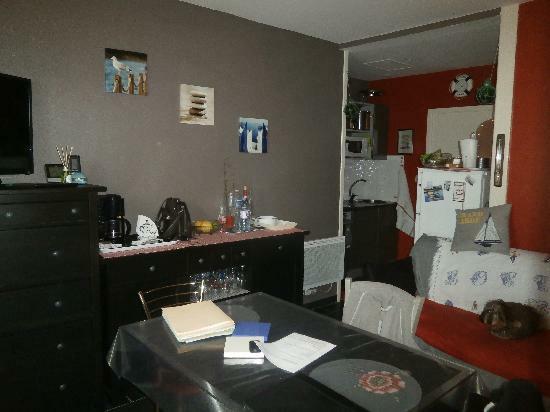 CUISINE OUVERTE SUR SEJOUR SALON AVEC TERRASSE , DEUX CHAMBRES AVEC PLACARDS, WC, SALLE DE BAINS. AUTRE: PLACE DE PARKING EN S/SOL. 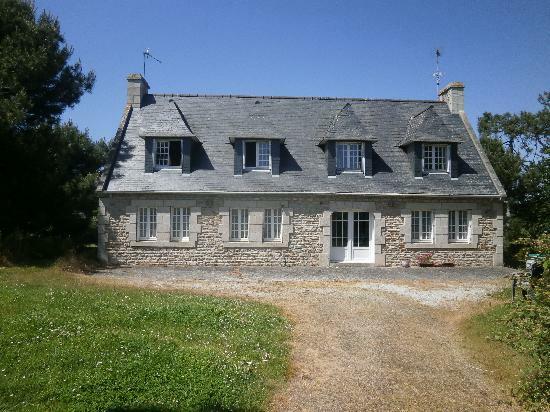 BELLE MAISON DE 1905 SUR TERRAIN DE 1250 M² RENOVEE EN 1967 COMPRENANT AU RDC : SEJOUR SALON AVEC CHEMINEE ET INSERT, CUISINE EQUIPEE , UNE CHAMBRE ,SALLE D'EAU + WC. A L'ETAGE DEGAGEMENT : TROIS CHAMBRES. 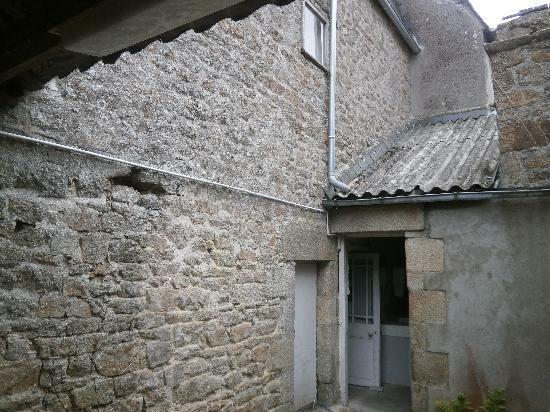 AUTRE : GARAGE +WC + CHAUFFERIE , .ABRI DE JARDIN . 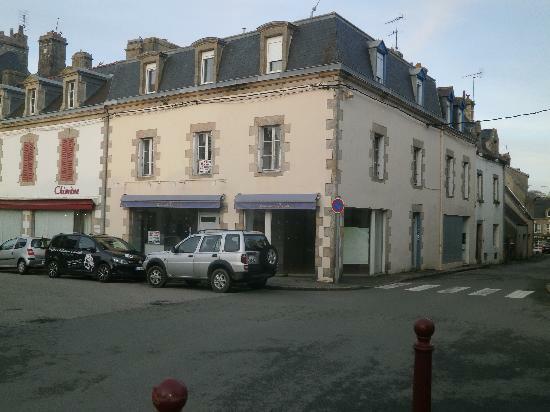 SUPERBE IMMEUBLE AVEC LOCAL COMMERCIAL DE 150 M² PLUS DEUX NIVEAUX DE 70 M² CHAQUE. 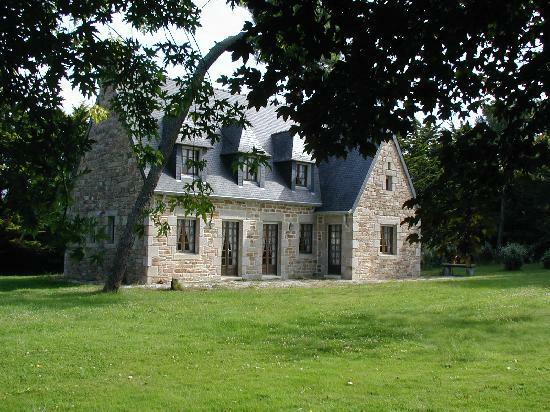 MAGNIFIQUE MANOIR DE 1910 ENTIEREMENT RENOVE SUR PARC DE 4800 M² AVEC PISCINE CHAUFFEE, COMPRENANT AU RDC : VASTE HALL,SEJOUR SALON AVEC CHEMINEE, CUISINE ,BUREAU,WC. 1Â² ETAGE: DEUX SUITES COMPRENANT POUR L'UNE DEUX CHAMBRES ,SALLE DE BAINS,WC.POUR L'AUTRE:CUISINE EQUIPEE,SEJOUR,DEUX CHAMBRES,SALLE DE BAINS,WC. 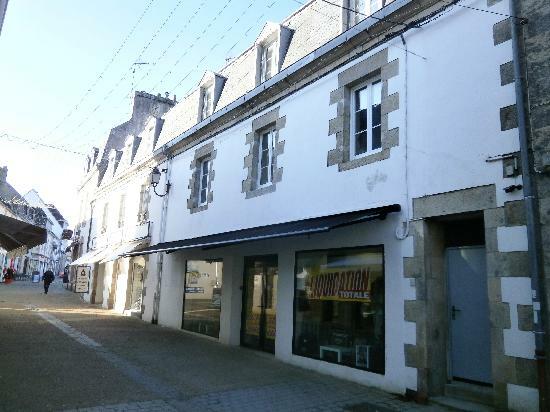 2Â² ETAGE: UNE 1Â² SUITE COMPRENANT SALON SEJOUR,CUISINE EQUIPEE,TROIS CHAMBRES,UNE SALLE DE BAINS,WC,DRESSING.2Â² SUITE, COMPRENANT:SEJOUR SALON,DEUX CHAMBRES, SALLE DE BAINS,CUISINE EQUIPEE,WC. 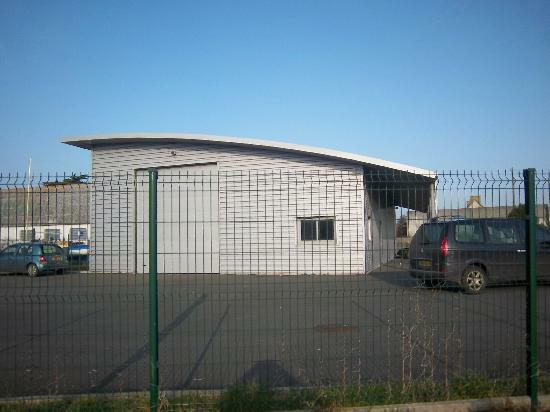 HANGAR NEUF SUR TERRAIN DE 990 M² COMPRENANT UN HANGAR DE 250 M²+AUVENT,BUREAU WC. 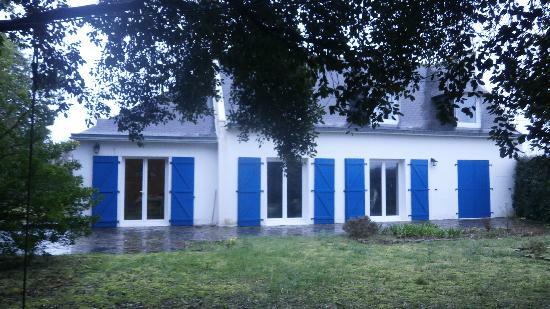 MAISON DE 2002 SUR TERRAIN DE 150 M² COMPRENANT AU RDC : HALL , SEJOUR SALON CUISINE OUVERTE , WC . A L'ETAGE : DEGAGEMENT , TROIS CHAMBRES , SALLE DE BAINS . AUX PORTES DE PONT L'ABBE TERRAIN DE 530 M² CONSTRUCTIBLE ET VIABILISE . 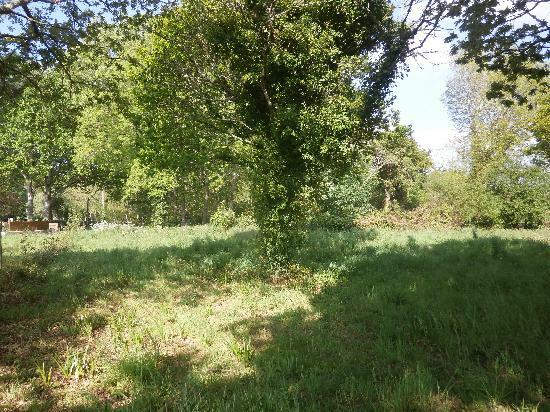 TERRAIN CONSTRUCTIBLE DE 720 M² ENVIRON VIABILISATION A PROXIMITE . A VOIR . 1Â² ETAGE : SEJOUR SALON CUISINE EQUIPEE ET AMENAGEE , 1 CHAMBRE , SALLE D'EAU WC . 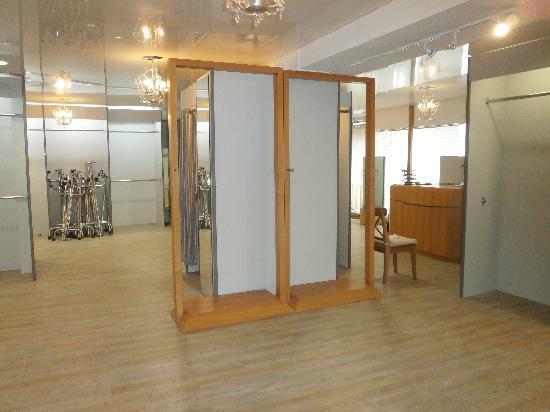 2Â² ETAGE : 3 CHAMBRES , SALLE DE BAINS , DRESSING . 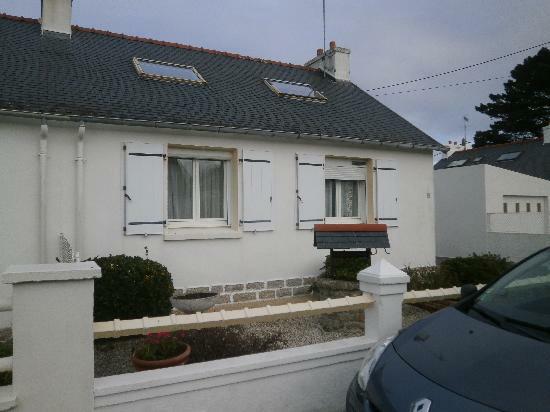 MAISON COMPRENANT : HALL , CHAUFFERIE , GARAGE . 1Â² ETAGE : SEJOUR SALON CUISINE EQUIPEE ET AMENAGEE , 1 PIECE . 2Â² ETAGE : 3 CHAMBRES , SALLE D'EAU , WC . 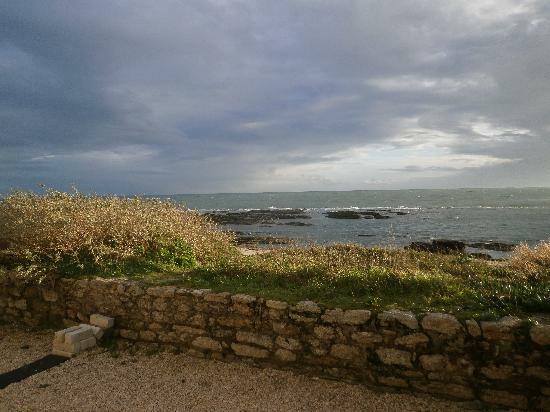 TERRAIN CONSTRUCTIBLE DE 1125 M² LA PLAGE A PIED .